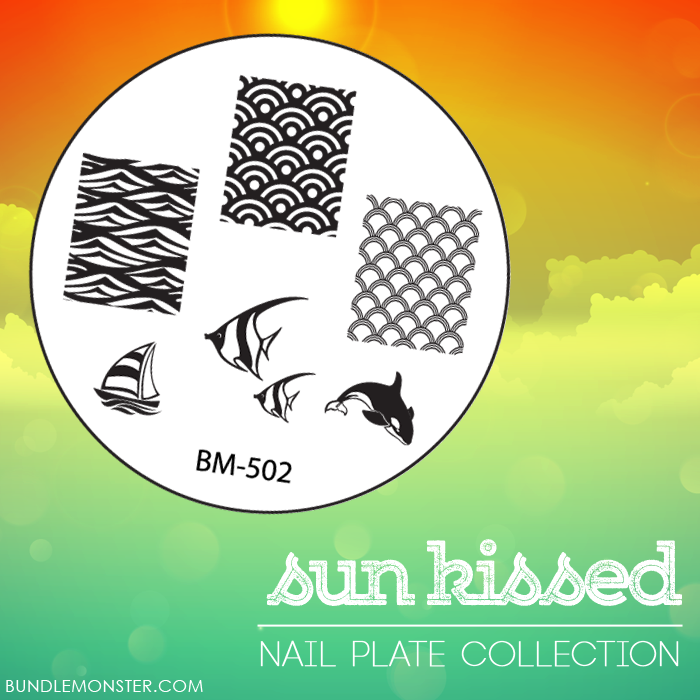 Lacquer Lockdown: Hot Off The Stamping Press: Bundle Monster Sun Kissed Collection Update! 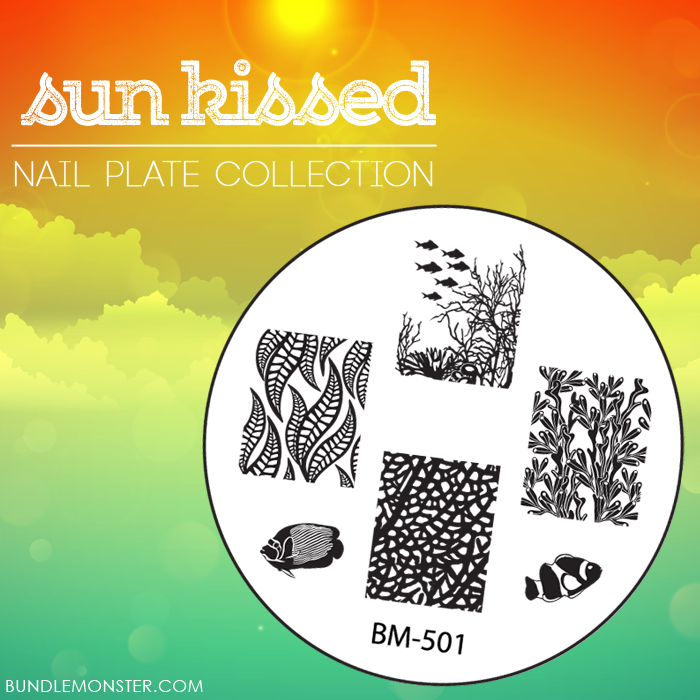 Hot Off The Stamping Press: Bundle Monster Sun Kissed Collection Update! 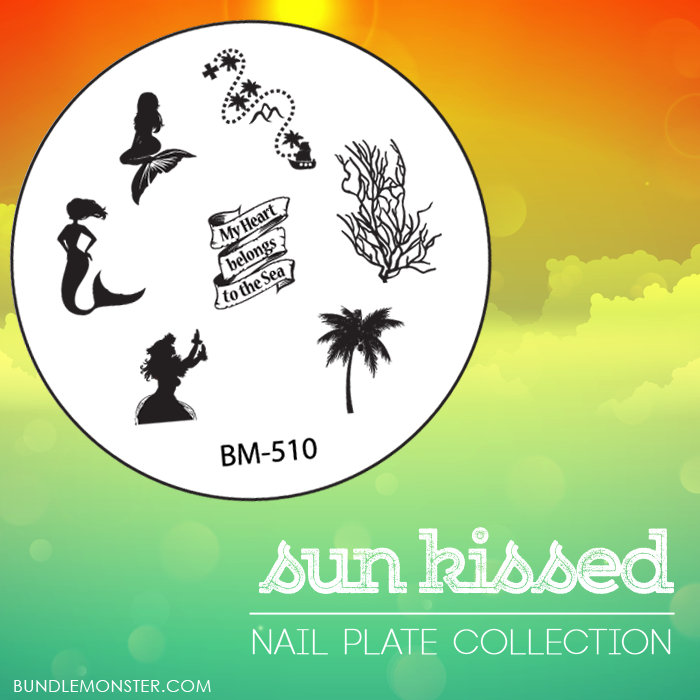 After I posted the press release I got a lot of questions asking about why Bundle Monster would choose to release a beach collection so close to the end of summer. Lol my thoughts on that are multifold. 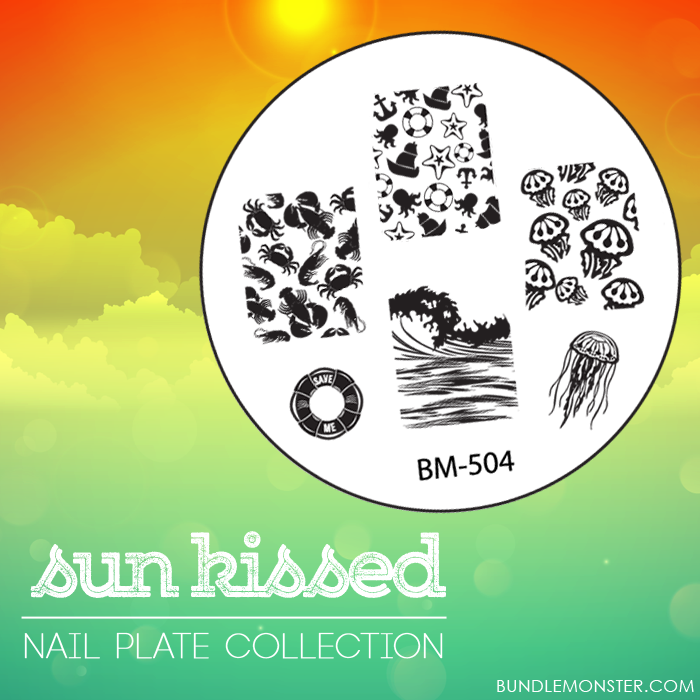 One the HQ for Bundle Monster is located in Hawaii and it's forever summer there i.e. you are never too far from a beach. Second, a tropical vacation is really only a few clicks of a mouse away for some of us. Lol let me state this is definitely NOT the case for me, but lots of people go abroad and vacationing in the winter and these plates would also be perfect for those escapes as well. 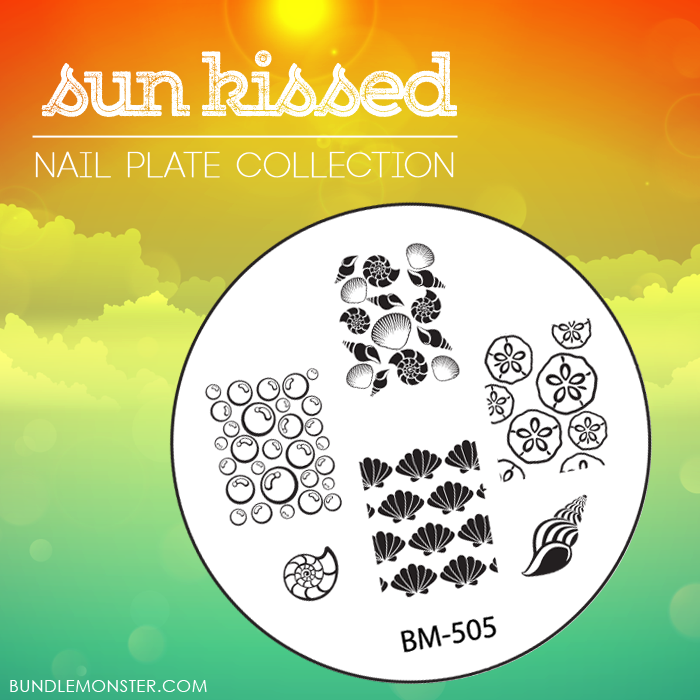 So with five plates down and five more to go I think we are all excited to see what Bundle Monster will show us next! I'm really liking what they have shown us thus far and of course this makes me anticipate the Create Your Own Plates even more. 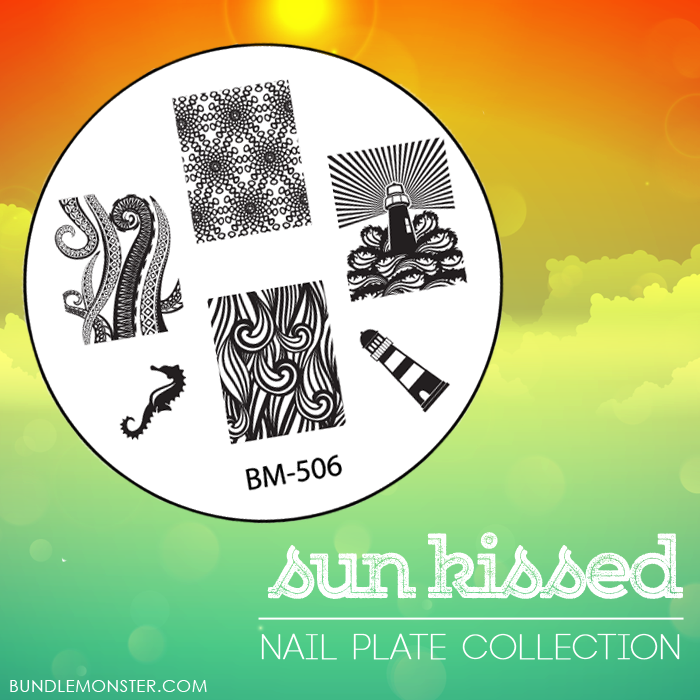 You can stalk Bundle Monster for the latest updates on Facebook. Thanks for reading and I'll see you next post..